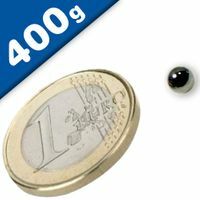 Real monster-spheres! I know adults who were not able to separate these magnets from each other. These should be handled with care and are definitely not suitable for children! (No joke!) 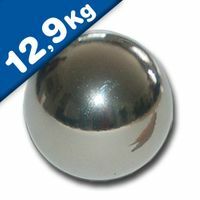 Keep in mind: These spheres are coated with chrome (over a nickel base), which makes them especially robust. 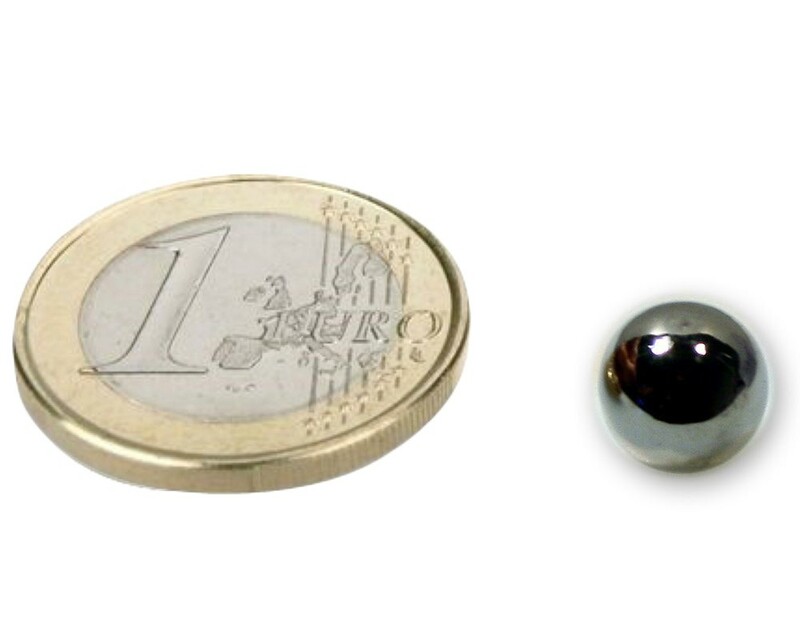 Nevertheless, you should not let two of these spheres collide together - the pressure on the points of impact will be so high that the coating may be broken-down over time. 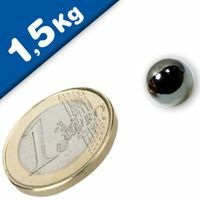 Orders of multiple spheres will be delivered with a plastic spacer between them. 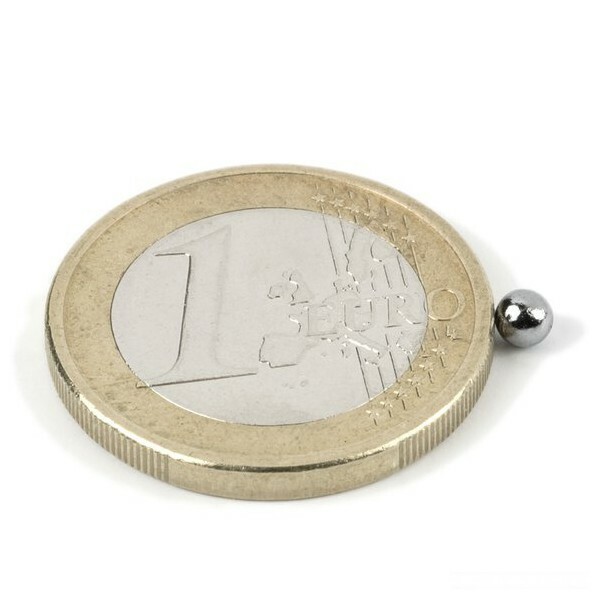 The NdFeB spheres have an extraordinary level of magnetism which means they can be joined into chains to form necklaces and bracelets which are secure, but can also be split and then rejoined to for the chain again. This makes them a great fashion accessory and jewellery addition. 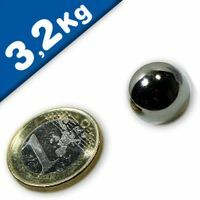 These magnetic spheres are also ideal for holding large drawings and posters onto steel white boards, mild steel walls, fridges, magnetic notice boards, etc. 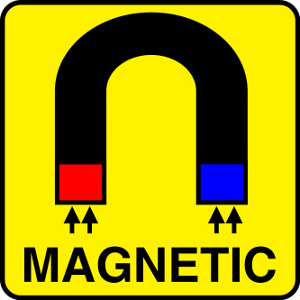 They are magnetized across their diameters which prevents them from rolling out of position (with a North and south positioning like our planet Earth). 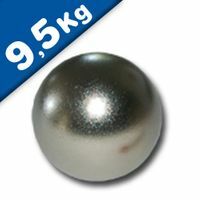 Their spherical shape makes them easy to grip for removing and repositioning. The shape is also regarded as aesthetically pleasing. 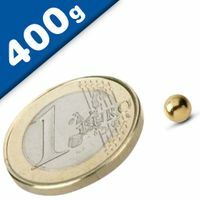 They exist in various sizes (3 mm to 25 mm diameters) and three colors (black, gold and nickel). Important Note: This sphere magnets / magnetic balls are not suitable as toys for children. The potential choking hazard for children under 36 months is only a risk. 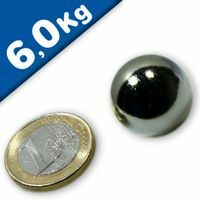 Since the magnetic beads attract each other in the stomach they won't leave the body in a natural way and can pinch delicate tissue and can lead to serious injury. 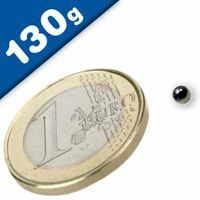 magnetic toys, gifts and packaging.